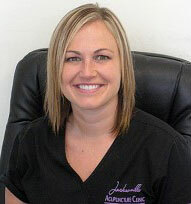 I’m a Florida State Licensed and Nationally Board Certified Jacksonville Acupuncturist. 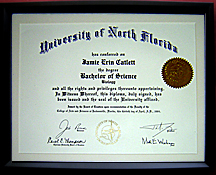 I received a Master Science in Oriental Medicine from the Acupuncture Massage College in Miami, and a Bachelor’s Degree in Biology from the University of North Florida. 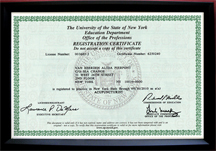 I also have a Certification in Personal Training. How I got involved and motivated to study acupuncture was rather interesting. 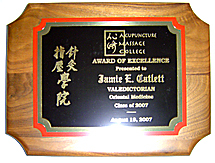 While I was finishing my degree in biology, my father began seeing an acupuncturist for treatment. The results he got were so dramatic that it made a profound impression on me. 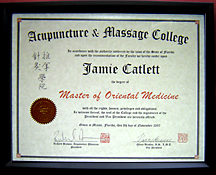 I was so amazed with this type of alternative medicine that I made the decision right then and there to pursue a career in acupuncture. Three years later, I became a licensed Acupuncture Physician. Today my biggest reward comes, not only from helping my patients go pain free and seeing how acupuncture has improved their quality of life, but also from helping women who are coping with infertility issues get pregnant. The human body wants to naturally go back to balance. Through diet, exercise, and proper healthcare it can be possible. I always knew that one day my career would involve healthcare and wellness. I truly enjoy helping others improve their lives.